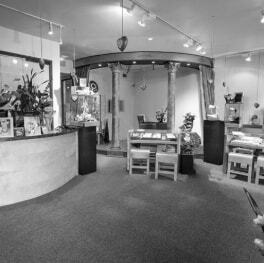 For twenty years award-winning jewelry designer Margarette Elie has hand-crafted jewelry for clients in Washington State and beyond. Every piece is created right here in our workshop an hour from Seattle, where skills honed over decades of craft form precious metals and stones into unique works, with an attention to detail and quality of construction which mass-produced jewelry can never match. 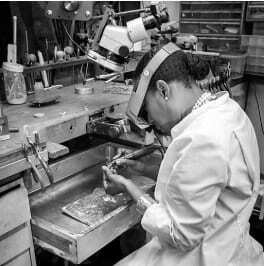 But before the fabrication process can start, you need to work with us to design your own jewelry. 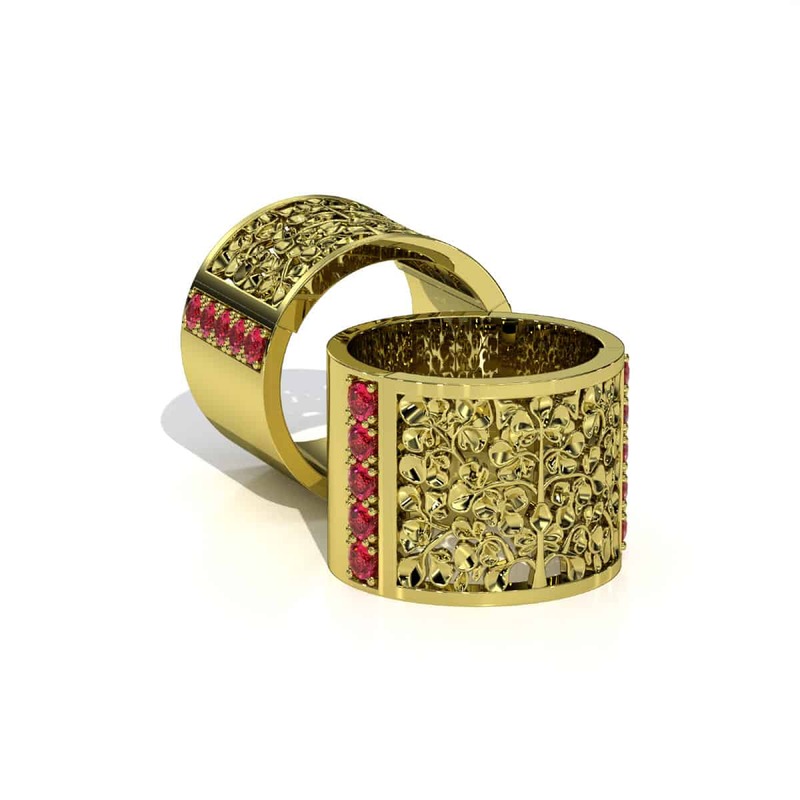 Inspiration for jewelry design can come from many sources: from a shape or item that we or a customer admires; patterns and forms in nature; art or music; classic works of the jeweler’s art; from wildlife, or the human form. But our first step is to talk to the customer, often over a coffee at the counter of shop in Yelm. Every piece that we create for a customer speaks of, and speaks to, the individual who commissioned it, with their motivation for wanting the jewelry, with their likes and loves and feelings. And so the journey to design your own jewelry and have it made starts. All commissions start life as a traditional line-drawn sketch, as jewelry designs have done for centuries, where inspiration flows through graphite to paper to breathe form into the ideas. 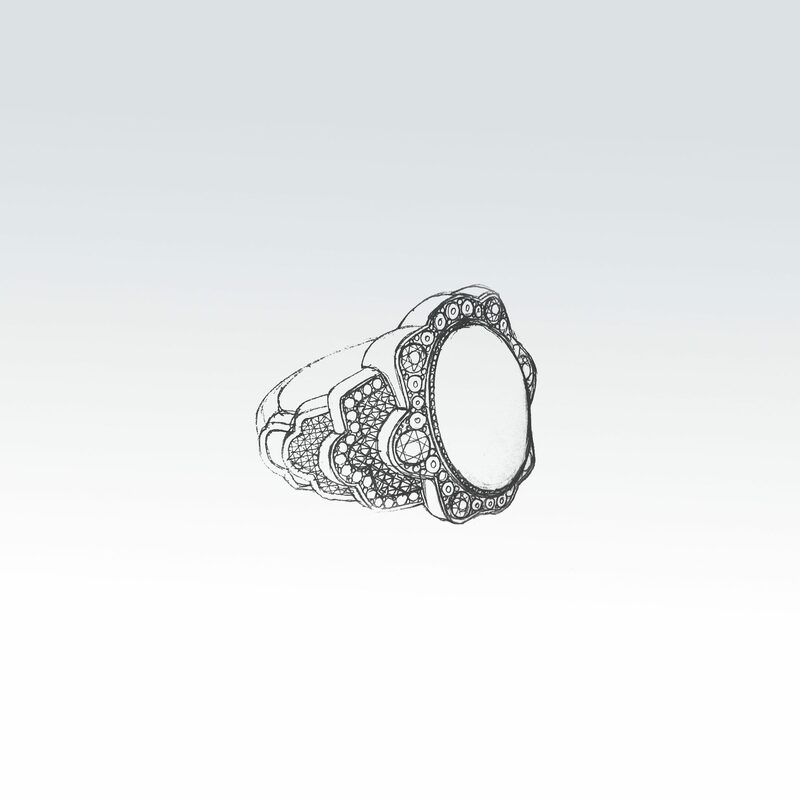 But after initial rough sketches we move to using the latest computer aides, designing each piece in full 3d so that the flow of every line and exact position of each gem can be precisely mapped out. Iterating and improving on the design, we at last arrive at a fully view-able computer visualization. The computer imagery allows the customer to see exactly how the final piece will look before work begins. 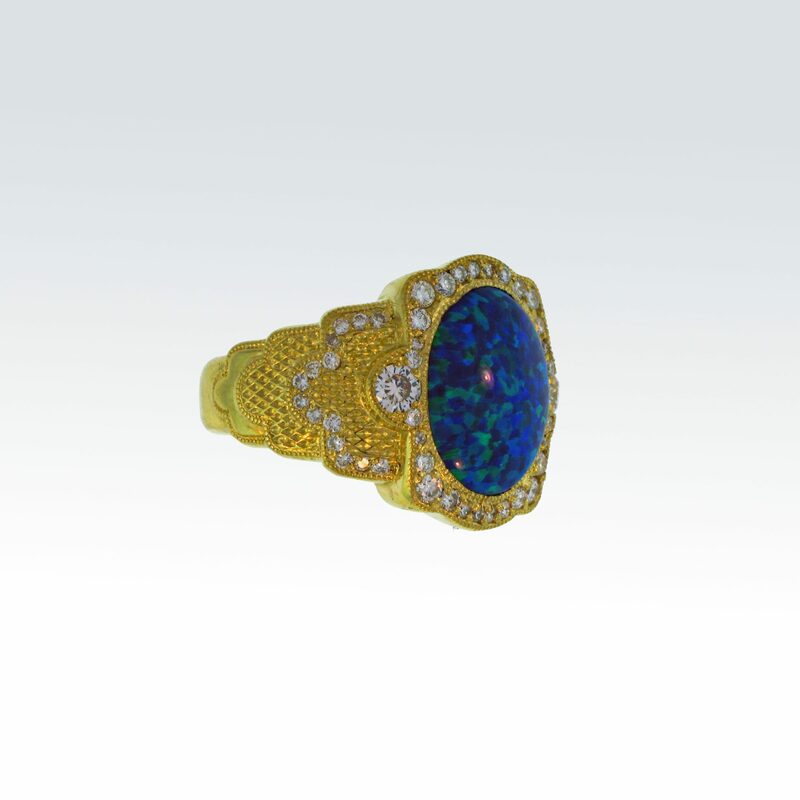 Once the design is complete and the visualization agreed with the customer, the intense, detailed work of crafting each piece can commence: carving a wax; casting the piece (in this case in 18 Karat Yellow Gold); cleaning and preparing the cast for stone setting; cutting the gemstones (here a beautiful Opal, with diamonds selected for their shape, color and clarity); setting the stones and hand carving the details. Until at last we have a one-of-a-kind piece of jewelry, designed from and unique to the customer who commissioned it. Whatever your inspiration or motivation, we can design the perfect piece just for you. To discuss how we can craft your own unique treasure, phone, visit or email us today.